I recently attended the Resilience for Development: Assessment Methods and Transformation Practices Colleqium in Johannesburg, South Africa, where I presented on the Indigenous and Local Knowledge (ILK) for Stewardship and Resilience Panel. I will discuss some of the findings and issues from the research I presented on the role of ILK with a focus on the ethnobotanical knowledge, practices and beliefs of indigenous Venda communities in South Africa. ILK is defined as a ‘cumulative body of knowledge, practice, and belief, evolving by adaptive processes and handed down through generations by cultural transmission about the relationship of living beings (including humans) with one another and their environment (Berkes, 2012, p.7).’ The analysis of ILK indicates a dialectical relationship between local observations and knowledge of species and other phenomena, a component of practice in the ways people carry out their resource activities and belief regarding how knowledge and practices relate to ecosystems forming a nested ‘knowledge-practice-belief’ complex. My work focuses on the nature of ILK systems, the process of continuity and change that influences knowledge transfer across generations and the role ILK can play for biodiversity conservation. My research focuses on the Venda region of the Soutpansberg Mountain Range in the North-East Limpopo Province of South Africa. The Soutpansberg Mountain is a centre for botanical endemism and is comprised of forest-grassland mosaics. However, in the eastern fringes of the Soutpansberg high population densities have resulted in increased pressure on woodland and forest resources for the purposes of settlement, subsistence agriculture and commercial afforestation. Rural communities in this region face managing socio-economic challenges such as high unemployment, few skills and access to economic opportunities as well as a high dependence on natural resources. My pilot work aimed to explore a variety of questions including (1) What is the history of land and natural resource use in the region? 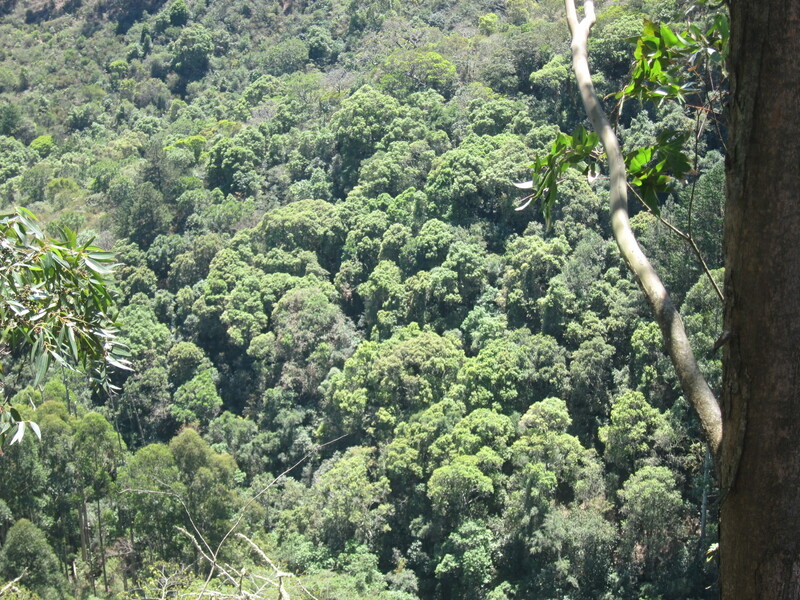 (2) What are the main ecological and social threats to forests in the region? (3) What institutions (formal/informal) are in place for the management of community forests and tree species? (4) How are tree species used and valued in rural communities? and (5) How is indigenous knowledge applied in the management of trees and forests in the region? The Venda region has undergone significant social-ecological change and was the last region within South Africa to be colonised by European settlers owing to its isolated location in the northeast interior of the country. The first Europeans colonised South Africa in 1652 when the Dutch East India Company (Vereenigde Oost-Indische Compagnie) established a permanent settlement in the Cape. The Cape served as one of the main European trading centres along the spice route to the East Indies. The Europeans were of Dutch and German descent and were later joined by French Huguenots escaping persecution by King Louis XIV in 1688. The Europeans represented a nomadic and adaptive culture, consisting of small nuclear groups that lived pastoralist lifestyles supplemented by hunting game for food and trade. These settlers were the first Trek Boers, later named the Voortrekkers and then the Boers. The first Europeans arrived in Venda in the early 1800s including missionaries, explorers, hunters, and land speculation companies. Contestations between the Venda’s and Voortrekkers over conflicts of land and natural resource resulted in ongoing wars between the late 1880s-1900s. The first missionaries penetrated the Venda territory in 1851 however; the missionaries acted as neutral entities in the conflicts with the Voortrekkers but asserted their own form of colonisation through the erosion of traditional practices of the Venda. The Venda territory later become part of the Transvaal and was turned into a Bantustan after the commencement of apartheid in 1948. The later promotion of the Bantu-Self Government Act of 1959 created a legal basis for the later deportation of non-whites into designated Bantustans (homeland) areas, which laid the groundwork for political and economic segregation. The Bantustans were ten distinct territories created out of the existing reserve structure where indigenous communities were grouped according to their ethnic background. Apartheid laws heightened racial segregation leading to the relocation of 3.5 million people from 1960 to 1980 and increased the percentage of the total African population living in Bantustans. The establishment of pine and eucalyptus plantations during the 1930s-1970s also coincided with the implementation of a forced land-use designation known as ‘betterment’ leading to the displacement of local people into marginalised landscapes. From the 1930’s the government initiated the Betterment programmes in the former reserve areas, which continued to operate into the 1980s. The Betterment programmes maximised agricultural production within the Bantustans by demarcating land into arable, residential and common grazing areas. Poverty, overpopulation and the small size of family holdings led to destructive land use practices, including widespread deforestation. These forms of forced land-use resignation, lead to the forced removal of local people into marginalised landscapes leading to clusters of homesteads on some of the steepest terrains, and the building of homes and crop cultivation in areas susceptible to landslides and soil erosion. The cumulative effects of commercial plantations and subsistence agriculture have caused land erosion and degradation producing severely fragmented and complex landscapes. Despite drastic social-ecological change within the landscape, the Venda possesses a resilient socio-cultural and traditional background, and intact history of ILK particularly of their botanical environment. The Venda have used porridges made from different cereals which are cultivated in home gardens named and agriculture fields including the main staple Maize (Zea mays) which produces a porridge, named pap which is often eaten with vegetables and other wild vegetable crops including cowpeas (Vigna sinensis), groundnuts (Voandzeia subteanea), and wild beans (Phaseolus aureus). The starchy roots, stems and barks of plants are also favoured for a variety of uses for example, the root bark of the Violet Tree (Securindaca longpeddunculata) is eaten for its wet and pleasant taste and is also favoured for its aphrodisiac effects. During times of extreme drought, the Venda resorted to indigenous plants for survival such as the roots of the Shepherd’s Tree (Boscia albitrunca) which was ground into a powder and mixed with pap to make Vhuswa ha muthobi. A range of tree species are also valued for their wild fruits including the Transvaal Milk Plum (Bequaertiodendron magalismontanum), Moepel Redmilkwood (Mimusops zeyheri), Spine-leaved Monkey Orange (Strychnos pungens) and Marula (Sclerocarya birrea). Traditionally, harvesting of some fruits particularly Marula could not take place until the ‘first fruit ceremonies’ were performed at the Chief’s house and only fallen fruits on the ground were allowed to be harvested. South Africa also has a rich cultural diversity reflected in the formal and informal systems of medicine that are practised in the country. In Venda culture, plants play a major role in the treatment of human diseases and the use of herbal remedies is often adjunct or alternative to conventional medicine. Traditional healers are generally divided into two categories named diviner diagnosticians and healers or herbalists. Indigenous real societies generally enjoy a high social standing in their communities, and thus exert a considerable influence on local health practices but this knowledge is passed on orally from generation to generation. The Venda has a detailed knowledge of medicinal plants and the physical attributes of plants symbolise the types of diseases they are used to treat. Plants containing a latex such as Milkweed (Sclerocarya birrea) and Fig Trees (Ficus species) and some plants such as Bloodwoods (Pterocarpus angolensis) produce a reddish sap when the bark is boiled and is used to treat menstrual pain, dysentery, piles and other related diseases. Owing to its profuse flowering, South African Wild Pear (Dombeya rotundifolia) is included as an ingredient in medicines used to promote fertility in humans. The Venda has a clear social hierarchy based on a patriarchal system the head is the Khosi or Chief who is the ‘king’ of the homeland. The Mahosi is usually the Chief’s biological or half brother and controls small divisions of land such as a network of villages. The Khosi also has an advisor named Mukoma who settle disputes in the village, allocates arable land to individual homesteads, organise social rituals, and the protection of the natural environment. The Makhadzi is usually a position held by one of the chief’s sisters who plays a role as an advisor to the chief on issues resolving conflicts within the royal family, ritual ceremonies related to burial in sacred sites and resolves marriage problems within the royal family. Chief’s and the Mukoma promoted the protection and preservation of plants important as sources of food or medicine, but certain species are more strictly protected than others. Permission from the Mukoma is required, especially when medicines have to be collected in an area under another headman’s jurisdiction including Panga Panga (Milletia stuhlmannii) and Yellow Peeling Plane (Brackenridgea zanguebarica). Most of these are important sources of famine food and beverage during periods of drought and food scarcity, e.g. Marula (Sclerocarya birrea), Cork Tree (Parinari curatellifolia), and Boabab (Adansonia digitata). The chiefs delegate the powers to control the use of protected plants to the Mukoma who, in turn, allocate the marula trees in their villages to heads of homesteads to guard and use. From these trees, local communities obtain beer and medicine and the trees provide shade in and around homesteads and cultivating fields. The wood of the marula is used for woodcarving therefore, permission is needed from the relevant headman or chief to use these trees otherwise it is an offence to fell a marula tree and local people are fined R1000 for cutting it down. The colonial period and apartheid era have led to significant changes in the landscape that have eroded the network of sacred forests. Venda communities are residing in fragmented landscapes dominated by physical and socially constructed barriers that materialise in the form of the establishment of forestry plantations, and private farms that have cleared areas of land for the development of exotic fruit farms. This has introduced conflicts with local communities who are often denied access to their sacred sites. The integral knowledge and historical use of landscape features such as sacred forests is predominantly superseded by the interests of local landowners that are not always compatible with the protection of sacred sites and in many cases, these sites are threatened by the clearing of land for agriculture expansion and tourism development. Interviews with elders in Venda reveal some of the mechanisms for knowledge transmission across generations that may be eroding, rather than the knowledge itself. Firstly, there is a disjuncture between knowledge exchange between elders and youth and a loosening of more formalised learning platforms for knowledge exchange. From the ages of 8-11, children rationally attended initiation schools to learn the laws of life, the environment, sexuality, responsibilities, obedience to and respect for the elderly. Initiation schools involved the gathering of all age sets for the purposes of teaching young girls and boys the roles and ‘ways of the Venda.’ This gathering, ceremony and learning institution is currently eroding. The expanse of Christianity has also produced marked changes in the culture of the Venda. Christianity was originally, initiated through mission education and Christian teachings which have devalued cultural institutions such as first fruits ceremonies and traditional systems of authority over land and natural resources. Christianity also challenges the credibility of indigenous knowledge particularly, with respect to the medicinal, magical, ritual and religious aspects of Venda life. In turn, if we understand, memory as knowledge developed by experience on the land, the richness of time spent in the ‘bush’ versus in the classroom, in the university or in towns seems to be reversing therefore, it seems there are fewer skilled experts ‘on the land.’ Observations reflecting long-standing experiences and traditional practices are reviewed and re-evaluated internally by young generations. As education becomes a primary facet of growing up in Venda. School and university education, as well as exposure to Christian teachings have devalued cultural institutions and traditional systems of authority over land and natural resources. New roles exist in the community for youth who have returned to their homes from university to exercise household decision-making power and challenge the authority and traditions of their elders. The emergence of new ideals among youth and adults associated with acquiring wealth and status has led to a form of economic stratification and lessening of communal traditional values and obligations. 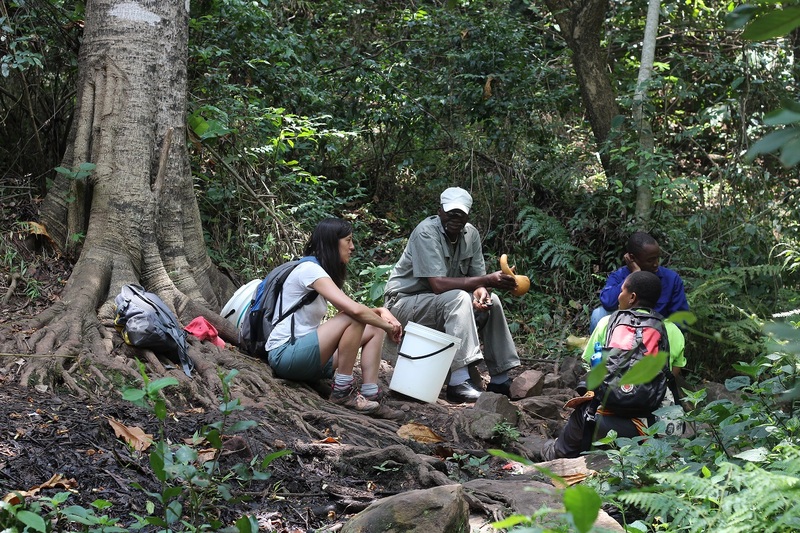 Despite drastic social-ecological changes and the erosion of traditional forms of knowledge transmission indigenous knowledge systems are actively revived through the actions of community-based organisations such as Dzomo La Mupo (Voice of Nature) and Young African Eco Minds. 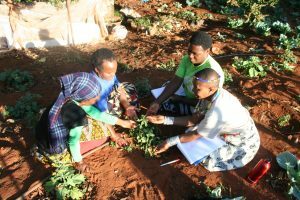 These organisations are working to resurrect the roles of women as custodians of sacred sites and traditional rituals and ceremonies and as knowledge holders of plants by encouraging women to develop plant nurseries for restoration projects. In turn, Dzomo La Mupo are working towards recognising their sacred sites as cultural heritage sites by the South African Cultural Heritage Agency and enhancing dialogues and interest in culture and traditional knowledge by bringing youth and elders into dialogue with one another. Indigenous and local knowledge holders in Venda possess and continue to collect important ILK surrounding the utilisation, management and protection of plant and forest resources. Yet various obstructions introduce struggles related to the translation of this information into practice. The frustrations and concerns articulated by local people expressed during the course of this research the tensions of continuity and change that are in operation. Acknowledgement and embracing the continuous blend of various knowledge in the face of a changing world is increasingly recognised as part of a resilient system. This research process aimed to develop a form of knowledge coproduction and sharing among diverse stakeholders to open the door to more inclusive processes whereby local knowledge holder’s voices are heard and recognised. The outcomes of my pilot work have identified future avenues for developing a larger-scale project in this region to understand how ILK can support more integrated forms of knowledge coproduction and sharing for land-use and ecological restoration planning and how this knowledge may be translated into decision-making. 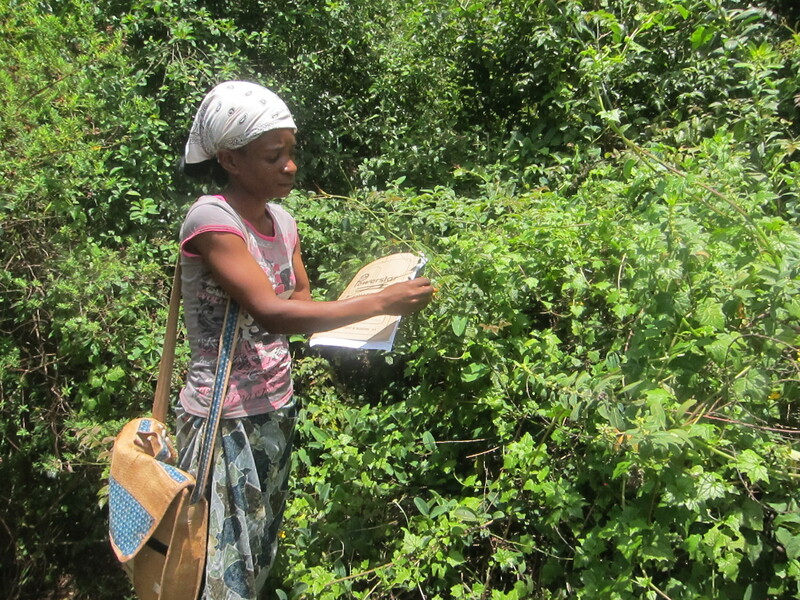 We hope to develop a participatory mapping methodology between indigenous people, researchers, and stakeholders to collect supportive ILK to assess plant and forest ecosystem health and restoration in Venda. The methodology allows different knowledge(s) to be acknowledged and captured using participatory mapping exercises and workshops, and for local and indigenous knowledge holders to set collective standards on the qualities of knowledge partnerships established to collaboratively understand and manage these issues. Incorporating ILK into land-use and restoration planning processes may support ecological restoration by allowing more accurate understanding of the application of ILK to enhance the resilience of ecosystem and human wellbeing. Berkes F. Sacred ecology: Routledge; 2012. Indigenous forest is a key element of biodiversity, the challenge is the massive destruction of indigenous trees. This research ,is important as Dr. Natasha listened to the communities, the people know there is destruction and the negative impact of destruction. Still , a deep education is required and commitment to rehabilitate the degraded areas, especially rivers. I remember one of elder traditional healer, tell us that for forest to come back all these homesteads, should removed, and he said we do nothing after they have been removed away, the forest will grow again on its own. I do not think there is another way to heal Mother Earth,unless we make the forest to come back,If in homesteads indigenous trees are planted and let small plants like wild greens grow it will be better. On era of religious principle criticising our culture and spiritual paths,it was a strategy if colonising people,as still here in S.A, if I say I do rituals,recognise my ancestors as my spiritual path, they said you are unchristian and you will go to hell.People say their ancestors are demons, as it is what colonisation of missionary did,they demonise even traditional healing.The christains criticise our sacred sites.But Dzomo la Mupo we stand firm, to defend or culture, our indigenous knowledge.ILK, the local, knowledge of origin, has make order, there was no one who can chop down trees near the rivers, or just chop down trees anywhere, there was order, we can say is old ways, but that old ways was better as it was way of order, new ways, do not pay attention on MUPO,THAT IS WHY Chief Seattle,said only when the last tree is chop down,only last river get dry, is then that people will realize that money cannot be eaten,I add, cannot be breathed as air,drinked as water. If we do not do any practical actions re-place theforest back, wethe present generation will continuously lack well being and the future generations will suffer. Research should also be implemented in practice, not only for academic files in library. All lives needs forest, even climate needs forest for precipitation.